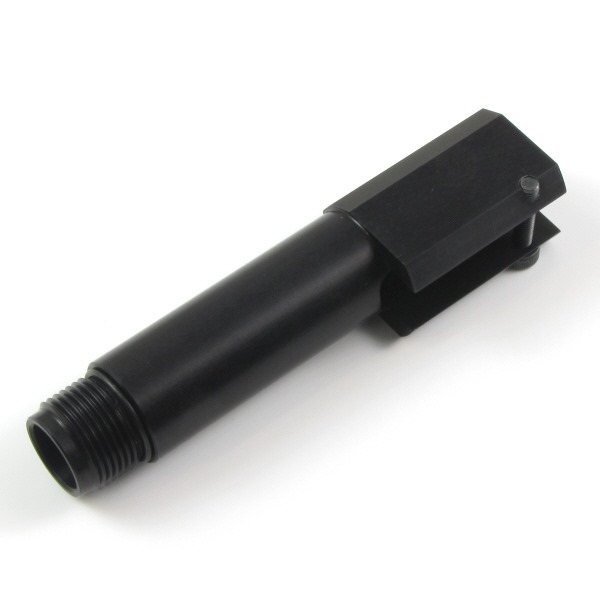 If you have a Tokyo Marui Mk23 SOCOM NBB and wanted to add a 14mm CCW suppressor or tracer unit the only practical option was to use a 16mm to 14mm CCW thread adapter. 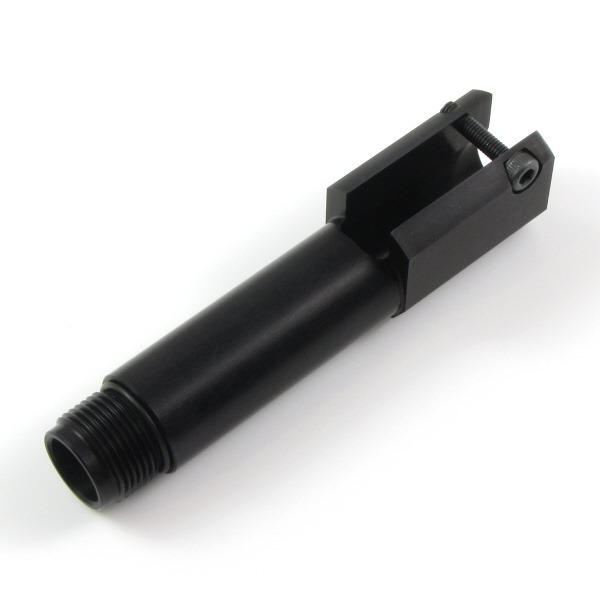 In addition to being a much neater way of adding a 14mm CCW thread to your Mk23 these barrels feature a larger through bore to allow longer inner barrels to be used without any modification and will accommodate most brands of inner barrels, 3 o-rings are also provided to stabilise the inner barrel within the outer, only 1 needs to be used but all 3 can be stacked together for extra support. 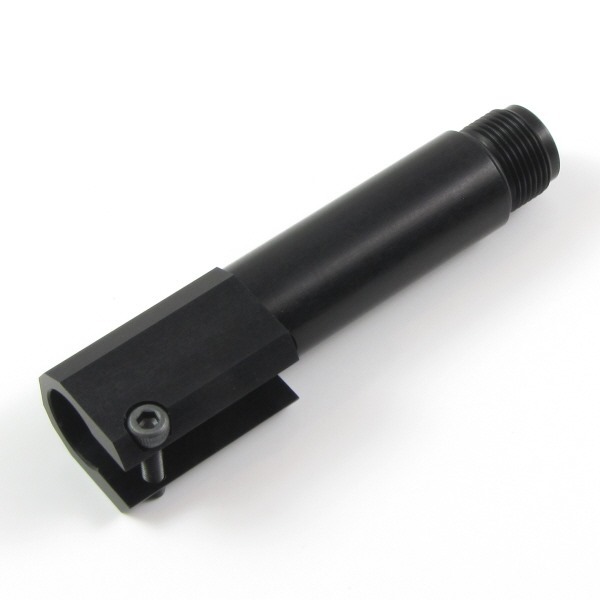 Designed & Manufactured in the United Kingdom by Lees Precision Engineering. 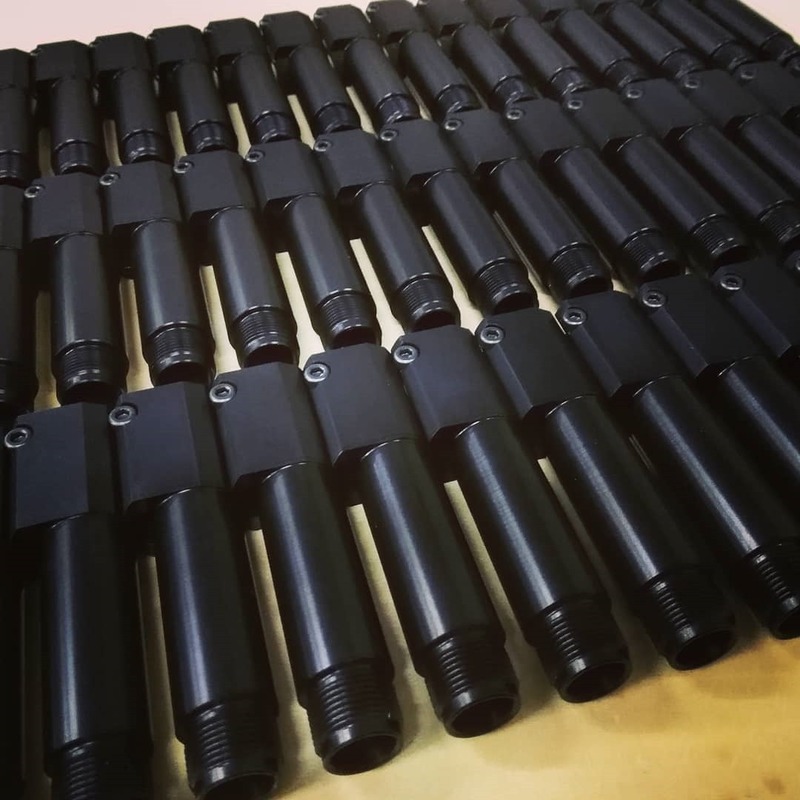 Available to order from www.LeesPrecision.com with shipping to most countries available. Trade enquiries from retailers worldwide are welcome.